It all started in the summer of '85 with a young marine engineer returning from 4 months at sea with a wad of cash burning a hole in his white Don Johnson leisure suit. 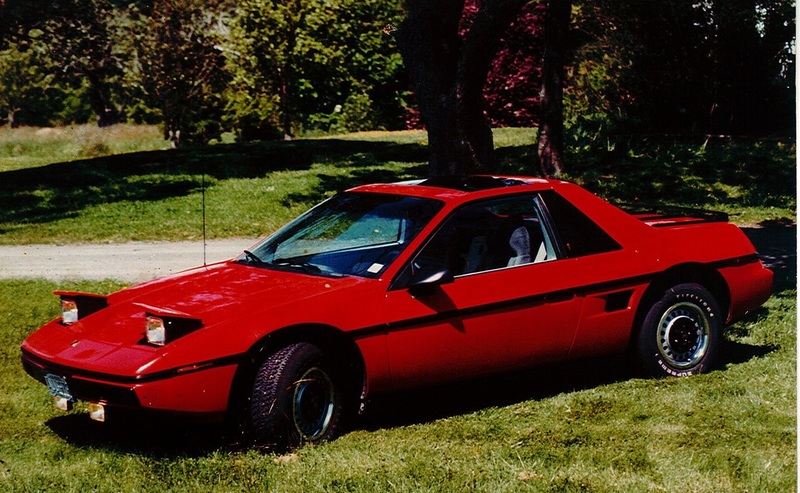 While walking the car lot at Bonnyman Pontiac in New Minas, NS, a certain red Fiero caught his eye and before the end of the day, he was driving home in his brand new "Notchie" . While it was not a fully loaded model with luxuries such as a/c and cruise, it did have power windows and a sun roof.......... and AM/FM/cassette. The drive home was spirited and memorable as the 98hp 4 cylinder coupled to the manual 5 speed pushed the little red 2 seater through the twisty back roads of the Annapolis Valley. Literally......... right off the show room floor in 1985. So clean and shiny.